Asset allocation is an approach that aims to balance the risk and return in a portfolio by investing across various asset classes like stocks, bonds, etc. The major concern handled by asset allocation is diversification of an investment portfolio for better financial planning. Risk Appetite – The amount of risk an individual is able to and at the same time is willing to take. Investment Horizon – The time period for which an individual wants to invest and stay invested. The financial goal of a person or Personal finance. Investment objective – whether or not investment is with any particular objective, for example some personal financial planning like education of a child. Also, the market conditions should be studied to know the situation of the market, and which stocks are performing well, economic conditions etc. Based on a blend of the above factors and the analysis of market conditions you can create a balanced portfolio with proper asset allocation. Through proper asset allocation, an investor can maximize profit and minimize risk. This will help in making financial planning easier. Till what age should I be invested in equities? There is no particular age which suggests that till it a person should remain invested in equities. There is a “rule of thumb” which suggests how much to invest, that it should be 100 minus your age, however, a lot depends on personal financial planning goals, needs, risk appetite etc.  For example, if a person’s age is 45 years he/she should invest around 50%-55% in Equities. What is a safe withdrawal rate in India – in USA it is 4% p.a. I hear? It was generally the 4% rule that was followed by retirees if they wanted their money to last until the end of 30 years of retirement. However this rule has been challenged by experts, according to them in the prevalent environment where the yields have dropped due to increase in inflation, 4% is no longer the safe withdrawal rate. There no ideal withdrawal rate a person, all the rates are based on reasonable assumptions. While personal financial planning if a person assumes that he wants the savings to sustain till the end of 30 years it should assume a safe withdrawal inflation-adjusted rate to be around 3%-5%, depending on the individual. It also depends on an individual’s personal finance. Is it safe for me to retire at the age of 60 years? Make sure you decide on what will you do after retirement: A study shows that most of the people have a very happy phase just after retirement but for most this phase fades away when they have nothing to do, so it is important to plan on what will you do after retirement. Ensure that you can afford your retirement: A person should have enough savings so that it can maintain a decent standard of living. A person should be able to withdraw around 4% from savings every month which should last till the end of 30 years. The personal financial planning should be done in such a manner. Healthcare: after retirement for most individuals, expenses on health care increases. So it should be backed up by proper financial planning like health insurance, personal financial planning, etc. Retirement Planning: there are a lot of retirement schemes that you should look at which can be planned from even when you start to work, Tax policies, inflation, Mutual Fund schemes are some areas of analysis before retirement. It is always better to be safe than sorry, hence a person should look into various aspects and give planning its retirement great importance. Also read: Why is Retirement Planning Important? Is Indexing distorting the market? Indexing is when an investor opts for passive investing by investing in a fund that invests according to a particular index like S & P 500, NIFTY etc. A study shows that around 20% of the current investments are now owned by Index Funds, and this is increasing at an increasing rate. Low management fee and trust on an Index makes these funds attractive. But if passive investing crosses a threshold that is more than active investing the markets will behave differently from what it has been in the past. One way to look at is that the flight on investment will be on autopilot mode. Indexes show at the top, firms with high share prices, going from high to low. Increase in passive investing will push more and more money into the large and high market cap firms, irrespective of the fact that whether or not they are actually performing good. Firms with good prospective growth will not be able to compete with the established ones. The market will almost behave in a robotic manner without any mental judgment or justification. Does ULIP make sense for some investors at least? Unit Linked Insurance Plan is a life insurance plan which provides life cover for the policyholder clubbed with investment option like stocks, bonds etc. It encourages the investors to inbuilt a savings habit and not to give up until the goal is met. It is good method for personal finance, personal financial planning. However, for an investor who can pick up the right Mutual Fund according to the risk-taking ability and needs, and a correct term insurance plan may not need a ULIP. ULIP will, therefore, make sense for investors who are unable to choose a right fund or a good term insurance. Many schemes are prevalent in the market which seems more cost efficient than ULIPs. For a Mutual Fund salesman does Alpha, Beta, Portfolio turnover really matter? Alpha is a measure of the difference between a fund’s actual returns and its expected performance, at a given level of risk (measured by beta). It measures the extent to which a Mutual Fund is able to turn over its stocks and assets during a year. As it widely said and accepted that better is always preferred than good, without knowing the above terms a Mutual Fund salesman can perform its work, the common people also may not know it. But these all are terms very widely used in the Mutual Fund market and so a person related to this industry should know it. He/she may not have a lot of knowledge about these terms but should at least know a basic idea about them. On not knowing them, a customer may feel that how can it trust a person for personal financial planning who does not himself know the industry properly. Not knowing them may work for a Mutual Fund salesman, but knowing them and being able to explain them in an easy and user-friendly manner to a naïve investor may work as a great benefit for them. Does everybody really need Term Life Insurance? Term insurance is a policy in which a person has to pay a premium for the particular time, after the death of the insured the beneficiary gets a sum monthly or time to time according to the policy terms and conditions. Term insurance is like an assurance that someone provides to its family, that they will not have to struggle when he/she is not around. It largely depends on the wealth you have; however, it is not necessary to take a term insurance. But it is always better to be safe than sorry, and so a person should have a policy that can serve as a back-up for their family. In the present time, the availability of the types of term insurance is such, that each individual will be able to find one that will suit his type. If a person has a very large amount of wealth, he or she may not find the need to take a term insurance as a backup plan option. It is a great support for personal financial planning and provides a way of personal finance to the beneficiary. Stock prices constantly adjust to the news that is available to the market participants. Unless and otherwise you have insider information it is impossible to predict the future (trading on insider information is illegal). It will almost be like predicting whether a mango will fall from the tree or not. Stock-pickers assume that there are mispriced securities and that profit can be made readily out of them. But there is an inevitable caveat to the situation, all the information or news regarding a security, a sector or an economy is virtually adopted by the market at a rapid pace, and their effects get embedded in the prices of the relevant stocks as swiftly as possible. Stocks are maximum times said to be correctly priced in accordance with the available information in the market. When a stock-picker is buying a stock he or she should not think that the person on the other side selling the stock is either misinformed or naïve. When you buy a stock you pay two types of inbuilt costs, one is the transaction cost the other is the spread. The spread is the difference between the price at which you can buy the stock (higher) and the price at which you can sell the stock (lower). So, when we buy a stock we are already on the lower side. Stocks have to go high for us to even recover both the costs even before we start earning profits. Studies show that most of the times stock picking is not successful. Indexing does not work in India, right? Tracking Error- it is an error or a deviation of the performance of the fund from that of the index. In India tracking error has been seen as high but was generally on the positive side, that is the returns were higher than the index. Wrong Indices- it is seen that the indices are improper and the constituents are not properly chosen. Cost: in other countries the cost of investing in Index funds are low but in India, it is seen that the difference is not much making it insignificant. A better Indices- indices which are properly constructed keeping long-term investors in mind. More efficient tracking- the indexes should be tracked in an appropriate manner. Trying to make it cost effective. If the Indian market is able to overcome and find a solution to such problems then Indexing may work in India. Investing for personal financial planning or personal finance through indexing may not proove to be a good idea in India for as now. Stock picking is profitable or not is a very controversial issue, no-one can justify with a solid proof that whether it is a full proof rewarding profession or not. Stock picking may be rewarding but becomes a zero-some game altogether if you don’t know what you are doing. In order to perform well in stock, you need to be an expert in the field, you should never assume that the information available in the market is not fully reflected in the stock prices, generally, the real scenario is just opposite to this. You need to be extremely careful while at the same time remain alert. The market is very efficient hence in order to earn through this profession you should always remember that the person opposite to you who is selling you the stock is not a stupid man, as it is generally said that people who trade and deal in stocks are really smart people, and so he or she must have thought of something before selling. So in order to be profitable is this profession complete knowledge about the field, alertness is mandatory. There are professionals who earn a lot through it but that is not the case for all, so a person needs to take into consideration all the facts and then take an appropriate decision. How do I allocate between Large cap, Midcap, and small cap funds? It is important for an investor to build a diversified portfolio in order to minimize risk. Large-cap Funds: stocks of large firms with a market cap of more than Rs.20,000 crore. Mid-cap Funds: stocks of firms with a market cap of between Rs.2000 to Rs.20,000 crore. Small-cap Funds: stocks of small firms with a market cap of less than Rs.2000 crore. In order to allocate appropriately between all these types of funds, it is important to understand certain factors like economic conditions, personal risk tolerance, etc. Large-cap firms can sustain and withstand the economic downturn, small-cap firms have good growth prospects in a growing economy but will fade away during economic crises. For example, if a person Mr.X whose age is 30 wants to invest, he should create his portfolio with not much allocation to bonds as according to his age he should have a high risk tolerance. He can allocate much on small-cap stocks and balance it with large-cap and mid-cap stocks based on the market conditions. However much depends on personal factors like needs, investment goal, personal finance, investment horizon etc. As a saying goes, don’t keep all your eggs in one basket, a person should not allocate all his investments in any one of them but should balance it in accordance to market and personal situations. This will ensure that the portfolio can withstand different market conditions. Should I invest in bonds instead of Bond funds? Bonds are Fixed Income securities issued by corporates or government to borrow funds for a defined period, in return the investors get interest. Bond Funds are like Mutual Funds which pools the money of investors and invest in Bonds. In case of an argument between bonds and bond funds, there is no correct or incorrect option, both of them have their own pros and cons. Generally, it is not possible for small investors to create a diversified portfolio of bonds as they are in much higher denominations than stocks, but the shares of a bond fund trade in small share prices. Another advantage is that it is professionally managed by funds managers who are experts in this field. The process of buying a bond fund shares is also much easier than buying bonds. However, it has its own disadvantages like the management fee and other fees like transaction charges becomes an additional cost. In case of bonds when maturity comes near the risk decreases, but in case of bonds funds the bonds are constantly bought and sold and so this advantage is not there. So in accordance with their financial planning goals, an investor should analyze both and take the correct decision based on what is good or disadvantageous to them. Do I need to invest in foreign equity? Investing in foreign equities can be done in two ways, one is investing directly the other is investing through a Mutual Fund. One of the basic requirements of a good portfolio construction is diversification, the idea behind diversification is to invest in different sectors, industries etc. so that even if one is down the other can balance it. Investment in foreign equities opens up a totally new area of diversification. It provides a protection that even if the stock market of one country will be at a bearish phase the other will balance it. When the doors of foreign equity investment were opened up in India, the India market was at a very bullish phase, it was providing returns much more than the foreign markets like America and so no investor will want to invest in foreign stocks which gives less returns than Indian stocks. Due to this, it did not gain much popularity. However, it provides a very strong diversification advantage, along with this it provides an opportunity to explore and exploit the advantages in the foreign market along with the Indian market. It can also help in diversification of the portfolios held for personal financial planning. Should I invest in Emerging Market equities? Emerging markets are markets in the countries which are in a phased that is between developing and developed. Some of the emerging markets are India, South Africa, Russia, Brazil etc. These types of markets show the greatest volatility in stock prices. Foreign exchange risk: when we invest in foreign markets an additional risk that we have to bear is the foreign market exchange rate risk. Valuation: the foreign market equities, especially of the emerging markets, cannot be valued or analyzed using the same methods as domestic market securities. It gives an exposure to a different set of government rules and regulations, also a different political environment altogether. Picking wrong: it becomes very difficult for us if we choose the wrong stocks. Though it has a lot of disadvantages, but the volatility it provides and the growth prospects are really good. Emerging markets are risky but the returns they can generate for a person who can study them appropriately can prove a worthy addition to the portfolio. But expertise in the field is of immense importance, a naïve investor if fails to analyze it in an appropriate manner can create a blunder.